There are countless options when it comes to creating a deck that is truly unique. This means that any host of a friendly card game can flaunt his own customized cards onto the table, making the game that much more like the ones in the big leagues. TMCARDS recommend their Custom Bridge Playing cards sized (2¼in × 3½in, 56 mm × 88 mm), the latter being narrower, and thus more suitable for games such as bridge in which a large number of cards must be held concealed in a player's hand which provide immense challenge and enjoyment while playing. 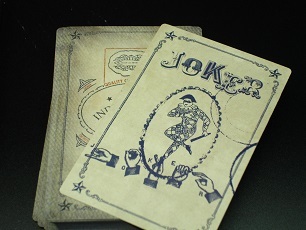 They come in standard quantities of 54 cards per deck, plus any jokers. Custom Bridge playing cards by TMCARDS can make fun promotional items for businesses or favors for special occasions such as weddings. They can also make personalized gifts for children or grandparents, or commemorate family events. You have complete control over the colors and pictures on the backs of the cards, as well as the font and style of the playing card faces. We allow you to customize both the backs and faces. At TMCARDS Manufacturer Company, you can order Custom Bridge cards On the face of the card; you can choose among designs such as standard, jumbo, super jumbo, and your own unique designs. This deck come in all shapes and sizes and often creates special packaging to go with them. If you intend the game to begin and want your partners to envy your sleek and classy deck, then GO for TMCARDS Bridge playing cards.